Is this the sound of Vettel cracking? Sebastian Vettel. (GEPA Pictures/Red Bull Content Pool). Ferrari’s Italian dream was alive for all of about 35 seconds. Then it became a nightmare. 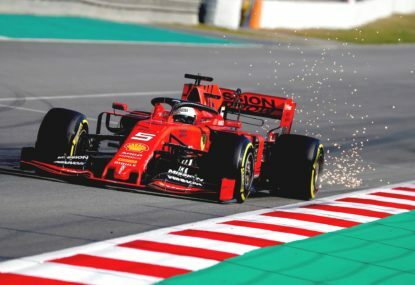 For the first time in 18 years, Ferrari’s scarlet machines filled the front row of the grid and pole-sitter Kimi Raikkonen and championship contender Sebastian Vettel were promising to deliver the team’s first win on home soil since 2010. The famous Italian tifosi had good reason to believe victory was in the offing — Ferrari had confirmed at Monza, just as it did in Belgium last weekend and in Hungary, Germany and Britain in July, that it possessed the fastest car. This was certainly true at the so-called Temple of Speed. Monza’s high-speed layout rewards engine power, and Ferrari’s power unit pumps out more horsepower than any other. Not over a single lap nor during race simulations did Mercedes have an answer to the Scuderia’s blistering pace. A clean getaway was all Raikkonen and Vettel needed to control the race. They got it — but for only four corners. Raikkonen led Vettel and Hamilton into the roggia chicane. Vettel had a look down Raikkonen’s inside but in doing so opened the door to Hamilton, who swept around his outside into the left-hander. The Briton left his rival room, but Vettel, under pressure and lacking downforce behind Raikkonen, drifted wide into the side of the Mercedes. He spun off the track and dropped to 18th, well out of victory contention. Worse still was that Vettel had handed Mercedes a decisive two-to-one strategic advantage. 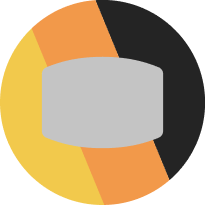 After Raikkonen and Hamilton had made their pit stops, Mercedes used Valtteri Bottas to obstruct Kimi long enough to cook his tyres, making him easy meat for Lewis on lap 45. Hamilton recorded a potentially title-defining victory with a career-best drive; Ferrari earnt itself another defeat by way of driver error. Consider the championship picture. 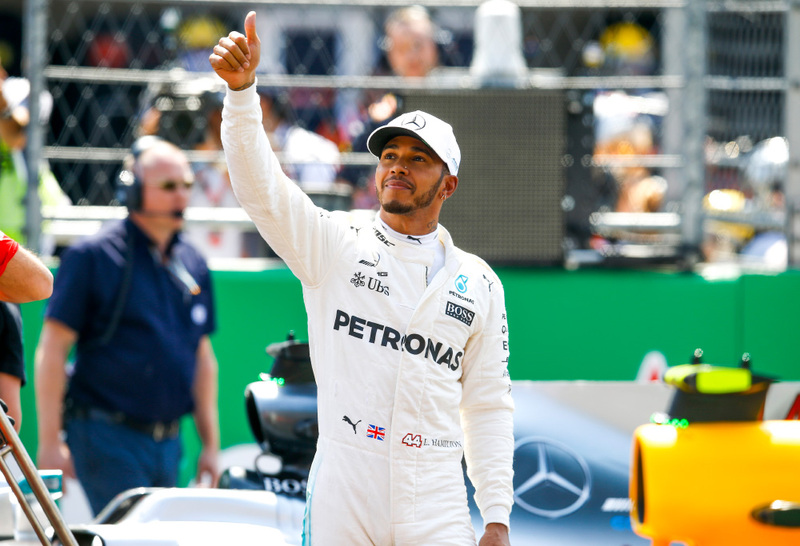 Hamilton has a comfortable 30-point cushion in the drivers’ standings and Mercedes commands a 25-point advantage in the constructor’s title. Now consider the points Sebastian Vettel has thrown away in error. 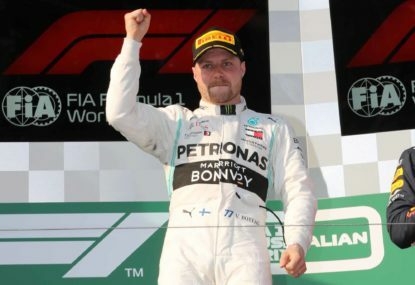 In Azerbaijan, a late-race lunge on then-leader Bottas ended in a lock-up that dropped him to fifth — which became fourth when Bottas retired shortly afterwards with puncture damage. 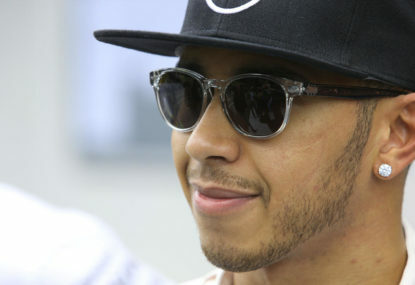 Hamilton inherited a win that would have fallen to Sebastian, costing the Ferrari driver 13 points. In France, Vettel started third but hit second-placed Bottas at the first turn, sending both spiralling to the back of the grid. 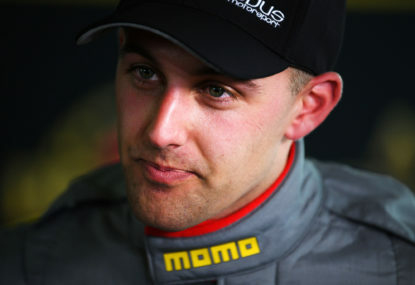 The German finished fifth when he should’ve finished third, costing himself five points. 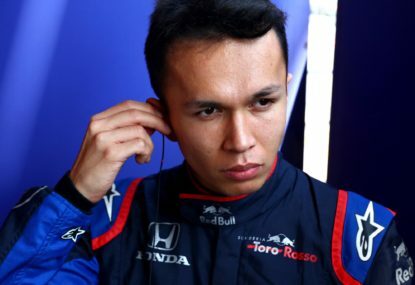 In Austria, he qualified third but was demoted three places for needlessly blocking Carlos Sainz during qualifying. Mercedes locked out the front row, but both cars retired. 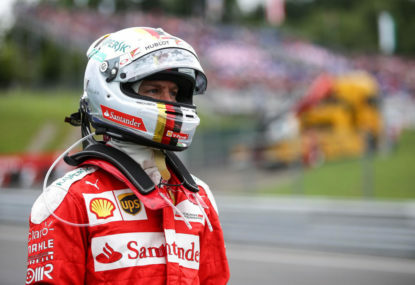 Early-lap skirmishes aside, Vettel’s penalty cost him a potential victory, worth ten points on his third-place finish. Vettel’s German Grand Prix crash in the rain while dominating the race, costing 25 points, was his most grievous error, made all the more galling by the fact he had a comfortable buffer with which to make it to the finish in the slippery conditions. At Ferrari’s home race Vettel compounded his errors. 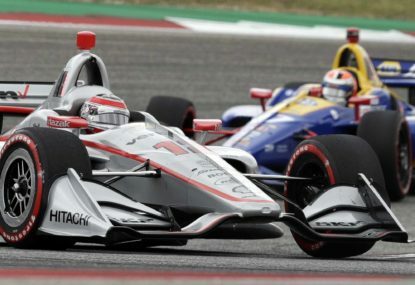 His strong pace meant he finished just 16 seconds off the race lead, making it no stretch to imagine him cruising to victory had he not hit Hamilton. Being generous, second place and an additional six points certainly went begging. The Italian Grand Prix brought Vettel’s lost points total to an embarrassing 59 points — in other words, enough to almost completely reverse his current 30-point deficit. Undoubtedly Ferrari’s unusual unwillingness to favour Vettel over Raikkonen in qualifying, gifting the Finn a powerful slipstream on both runs that might otherwise have delivered Vettel pole position, played a part, but the numbers are regardless damning. Equipped with F1’s fastest car, even if by only a fine margin, Vettel should be putting Hamilton and Mercedes to the sword, but mistake after mistake is handing the reigning world champion the advantage again and again. It’s all adding up to form an uncomfortable question: can Vettel handle the pressure to lead Ferrari to the championship? Time and again, counting back even to last season, Vettel has wilted under strain applied by Hamilton and Mercedes. Now, in 2018, the pressure has stepped up markedly, and Ferrari and Mercedes are pushing each other to such dizzying heights that even the smallest of mistakes is proving immensely costly. Hamilton is soaking up the chance to fight as the underdog and Vettel has been caught without a reply. Hanging heavy over Ferrari now will be the spectre of its championship collapse this time last year, beginning with defeat at Monza, continuing with a spectacular first-lap crash in Singapore and concluding with technical problems in Malaysia and Japan. It’s again this passage of races that will decide whether Vettel still has a role to play in the 2018 championship. And there’s a final twist in this potentially sorry tale, with rumour rife in Monza that Ferrari was poised to announce Charles Leclerc as Kimi Raikkonen’s replacement, only for the team to delay once Kimi scored pole. Leclerc would be in only his sophomore-season next year, but the impact of his Ferrari promotion shouldn’t be underestimated. If Vettel fails to convert his car advantage into a title this year, he faces the very real prospect of contending against internal competition to get the job done in 2019. It’s no understatement, then, to say that Vettel’s Ferrari legacy could be decided across the next seven races. How quickly the dream has turned into a nightmare.